One thing I love about Easter is being able to share an awesome, memorable moment with my family that we will reminisce forever. Psalm 118:24; This is the day that the Lord has made Let us rejoice and be glad in it. Regardless of what events take place today-today is the Lord's Day. We owed a debt we couldn't pay; Jesus paid a debt He didn't owe. 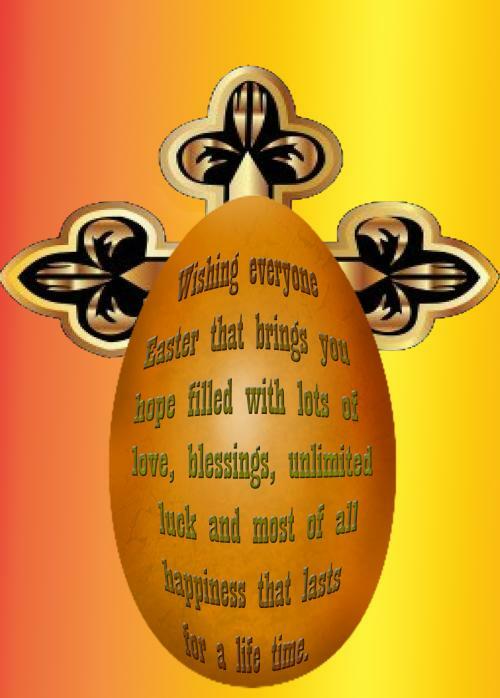 Wishing everyone Easter that brings you hope filled with lots of love, blessings, unlimited luck and most of all happiness that lasts for a life time. Easter: The greatest love story ever told. A story about the life of a sinless Man whose only mission is to save the souls of many sinful men. This Prayer is inspirational to me and touched my Heart. 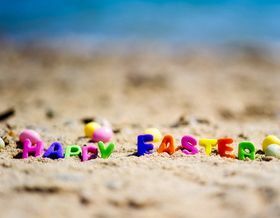 Easter, the day when resurrection took place, is the day of hope and good will. Followers of Christianity exchange gifts with each other to celebrate this occasion. It not only conveys the message of hope but also gives an opportunity to reassure the fact that good deeds and truth cannot be buried for long and will always come out successfully. Such is the importance of Easter that people believe that Jesus is re- born on Easter day and is as important as Christmas. 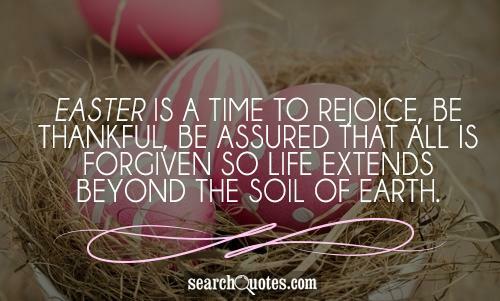 As Floyd w Tomkins said, “Let the resurrection joy lift us from loneliness and weakness and despair to strength and beauty and happiness.” Exchanging gifts is one way of sharing your love and affection for others on Easter but there is another way of doing it by sharing these quotes on Easter. It can be through email or e card. Share them with your friends and beloved ones.